Pilates is just for women right? Pilates was developed by a MAN named Joseph Pilates who was a body builder and gymnast. He developed Pilates for men. Many male sports teams incorporate Pilates exercises into their cross training programs. Pilates is suitable for both men and women. Yeah, but Pilates is just like yoga isn’t it but without the mediation? There are some similarities between Yoga and Pilates the main one being the goal of uniting body, mind and spirit. However, the path taken to get to this goal is quite different between the two forms of exercise. Yoga and Pilates have different approaches to movement. The breathing styles in both is different. Pilates exercises are performed in a flow of movement without the static poses associated with yoga. Pilates also uses more than just your mat. There are several pieces of equipment you can use to support you in the moves such as The Reformer, Cadillac, Barrel etc. Pilates is only for young people! Pilates has been designed as an adaptable system of movements and the use of props and equipment mean that the exercises are accessible to all abilities and ages. Pilates movements are widely used by Physiotherapists to teach knee injuries, back problems, hip replacements and more. Pilates programmes can address scoliosis, arthritis and osteoporosis as well as support specialised sports programmes for runners, golfers and horse riders. There is a style or modification available for all levels, almost all injuries and most health issues. I’m still not sure, I mean I could injure myself doing some of those moves? Pilates is a low-impact form of exercise, so injuries are uncommon. However, it’s important to find a qualified teacher and a class suited to your level of fitness and ability. Speak to your instructor if you are concerned and if any movement hurts, then stop and let the instructor know. I’m not flexible enough to do Pilates. Flexibility is an important part of Pilates training. You will gain flexibility as part of practicing Pilates regularly. The exercises are designed to improve your flexibility and increase your range of motion. For people who are overly flexible, Pilates helps to create joint stability to prevent injury and improve strength. Pilates exercises should be modified to suit each individual and their range of motion and flexibility. I’ve tired Pilates and it was too easy! Pilates is only easy if you aren’t doing the exercises properly. If you go through the motions without applying the principles of control, centring, concentration and precision you aren’t really doing Pilates. Pilates works the deeper core muscles and it takes some practice, and time, to learn to switch these on and off. It is very easy to move through some of the Pilates exercises using motion rather than controlled movement. Hang on, I found Pilates too hard not too easy! Pilates can be very humbling, even for people who are in good shape! Many other forms of exercises do not engage the deep core muscles as Pilates does. A good Pilates class will provide a breakdown of the movements and offer different options and levels. It is really important that you work within your own range of movements and how you are feeling that day. It is hard not to work from the ego and want to perform the exercises the same as person next to you is but that person may have been coming to Pilates for several years and their body has been conditioned with the Pilates method. I want a full body workout and Pilates only works your core. Pilates does build core strength however, the exercises are designed to work the full body. The more muscles you use to perform a movement, the more effective the movement will be. The Pilates system teaches a balance of strength and flexibility through several different movements. Lessons can be focused to target certain areas of the body such as the legs, glutes (bum) or abs. What is Pilates and where did it come from? Pilates was created by a man called Joseph Pilates. He originally called his method “Contrology” which is the ability to use your brain to control your muscles so that your body and mind work together in a well balanced state. Pilates became popular as training and rehabilitation tool for dancers and still is very popular with athletes such as football players and dancers. Pilates focuses on spinal health, joint stability, flexibility, strength and control. It can improve balance and co-ordination, prevent injuries, decrease ageing affects and help to maintain an optimal level of physical and mental functioning. And if you have read this far, why not book on a class and see what Pilates is, and isn’t to you. 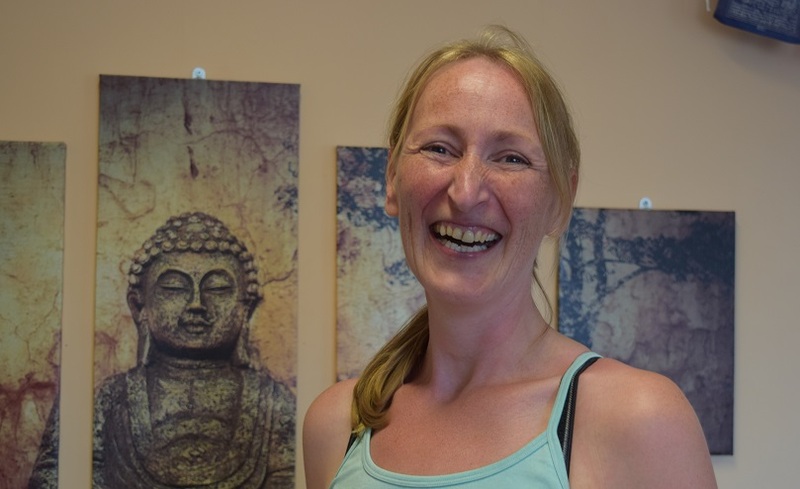 About the author: Samantha is the only specialist STOTT Pilates instructor in Taunton who teaches classes at Sangha House on a Saturday morning and Sunday afternoon.